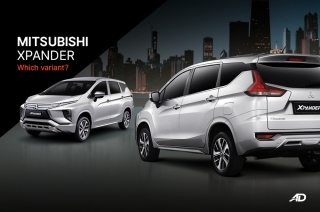 It’s still boxy, more retro-looking than ever, and in many ways better than before. Let me start this article with a full disclosure and a premise: I am among those people who have acquired a taste for the Suzuki Jimny, so much so, that I have enjoyed driving the vehicle regardless if it came short in some features. In short, I am infatuated with the Jimny. 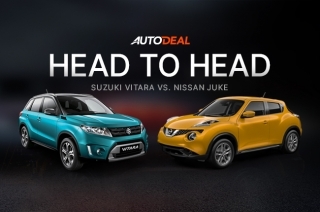 Arguably, Suzuki’s hottest commodity today isn’t the Vitara, not even the Swift – it’s the Jimny. 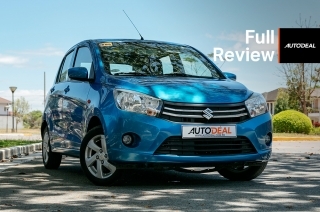 In fact, Suzuki Japan announced last month that it’s having a tough time keeping up with the global demand for the mini off-roader. 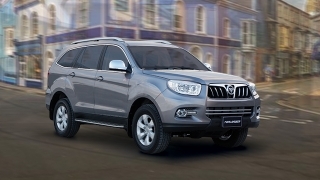 With that, a lot of orders have been going stale, but that doesn’t stop the world to want the neo-retro, full-fledged 4x4 SUV. 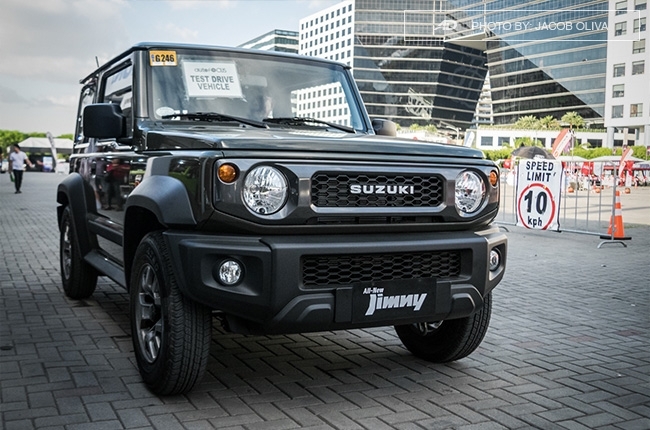 The Philippines isn’t spared with the craze for the fourth-generation Jimny. News about it spread like wildfire, and the number of page views, social media engagements, and other measures of media reach overflowed. 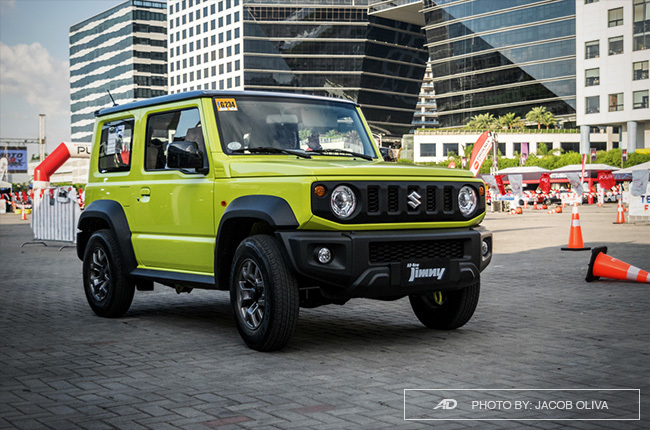 The Jimny has gone viral, and of course, Suzuki Philippines (SPH) has worked its popularity to its advantage. 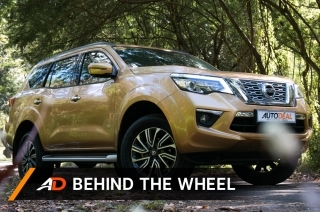 The Jimny looks wide and dominating even when seen from behind. 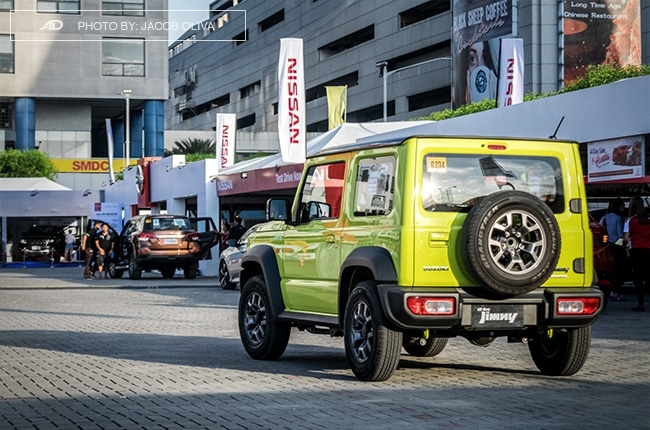 To satisfy the people’s desire for the cute SUV, SPH showcased the Jimny at the 2018 Philippines International Motor Show (PIMS), and we’re telling you, it was among the most-populated booths at the biennial auto show. 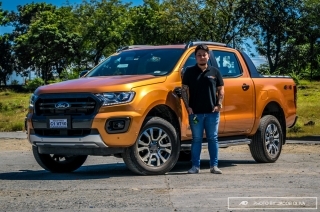 But it came with a rather saddening news for the fans of the mini off-roader: the Jimny will officially enter the Philippine showrooms by Q3 of 2019, which is about seven months away as of date. 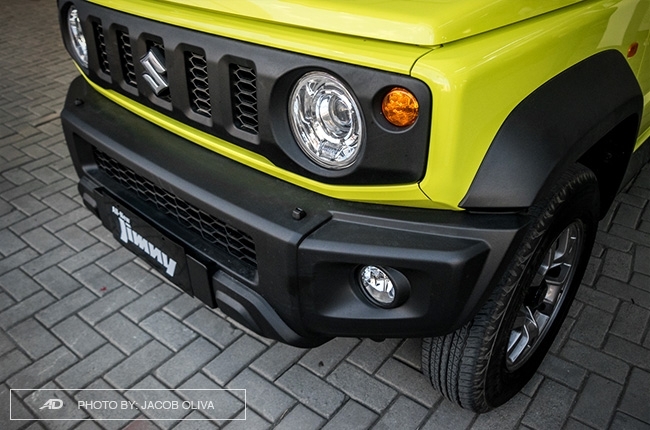 SO we reckon, is the 2019 Jimny really worth the wait? 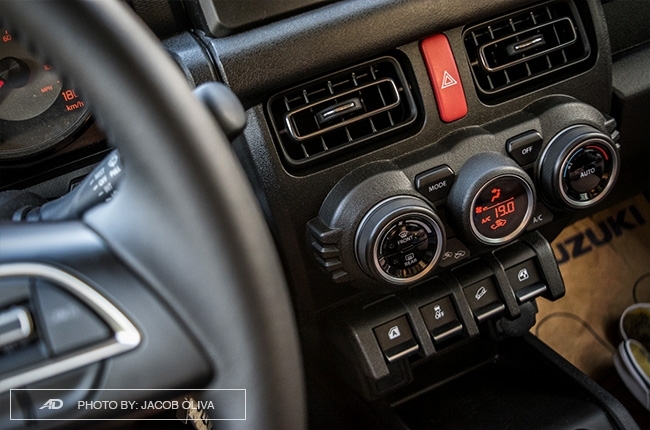 SPH participated in AutoFocus’ public test drive festival last week, and we took the chance to take the Jimny out for a quick spin, within the testing grounds and even outside it. Talk about timing. I arrived just in time to gas up the Jimny. It drinks unleaded gasoline, by the way. 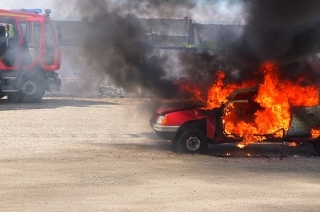 Now, the car. 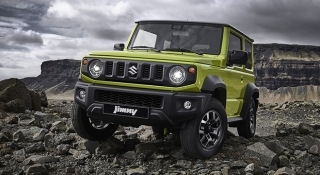 The Jimny has grown in width when compared to its predecessor, but it isn’t as huge as it looks on photos. 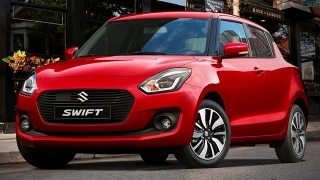 It still is small, no larger than its small hatchback cousin, the Suzuki Swift. 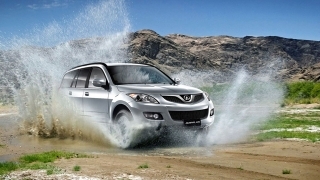 But it retained its overall length and wheelbase length, which made the Jimny sport a wider stance than before. Those bulging fender flares in matte black finish enhance this wide stance further, translating to a rigid footing. 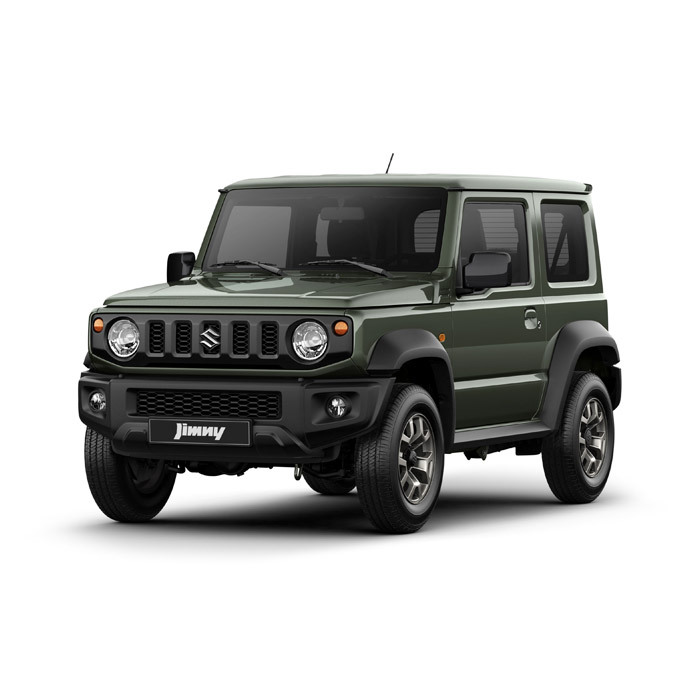 The Jungle Green Jimny, even without the contrasting roof color, is starting to grow on me the longer I stare at this photo. 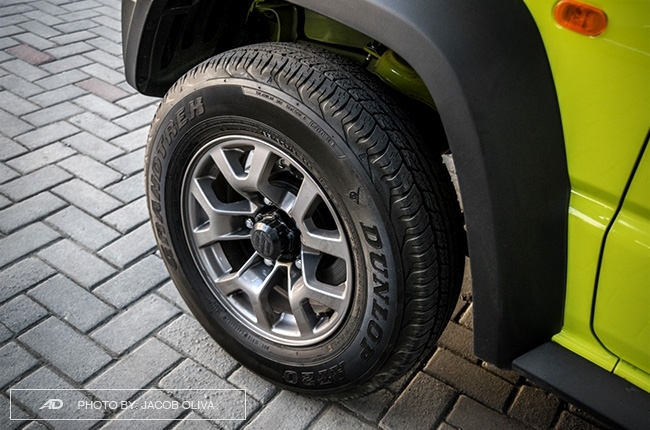 Another thing that caught my attention was the newly-designed 15-inch alloys of the Jimny. Its titanium finish and thicker tires work well with the Jimny’s styling, but it’s a bit narrower than before, which was a bit of a disappointment, but it’ll be more economical, I reckon. 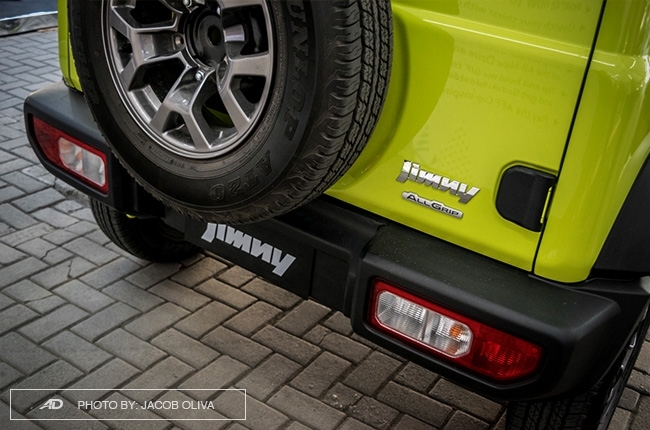 The Jimny also gained more ground clearance by 20mm or around 0.8 inches, and it shows. Consequently, this increased the mini SUV’s approach and departure angles, which means its off-roading (or gutter-climbing) capabilities have also been increased. I didn’t have the chance to test that, though, as my drive was limited to flat, unimpeded roads. With a styling like this, who needs a Merc G-Class, right? 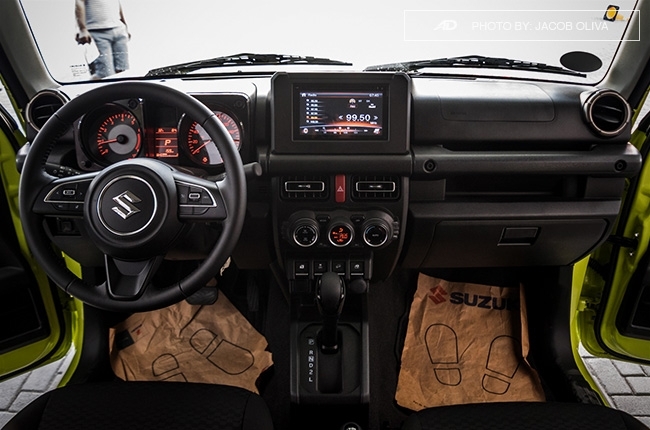 Inside, the 2019 Jimny evidently improved a lot from the outgoing model. The hard plastics from before have been replaced with well-executed plastics with an eye-pleasing finish. 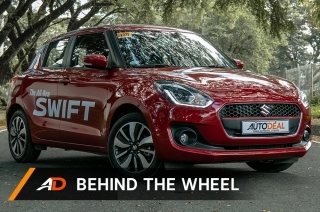 It’s reminiscent of what the Swift can offer, which I actually raved about in my recent review of the Swift. 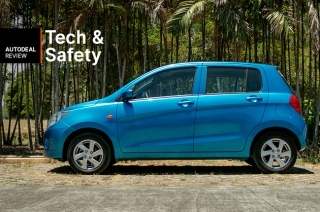 Aside from the materials used, the wiggle room for the driver and front passenger has been greatly increased. This was actually one of my greatest qualm in the old Jimny, so imagine my elation with it. 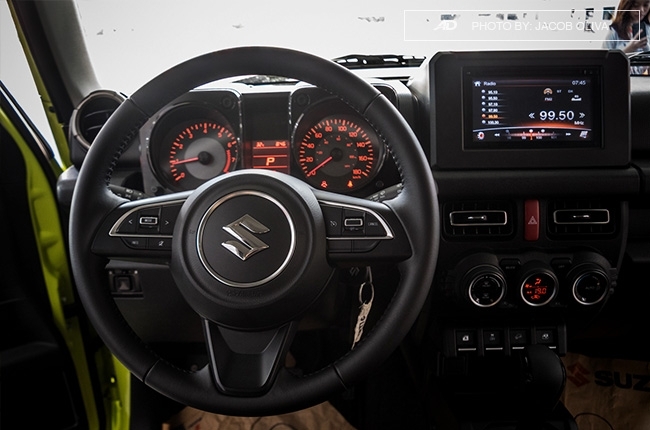 Suzuki was able to do so by placing the door controls below the air-conditioning knobs (which was a bit quirky at first) and lowering the position of the door’s grab handle, on top of the added overall width. 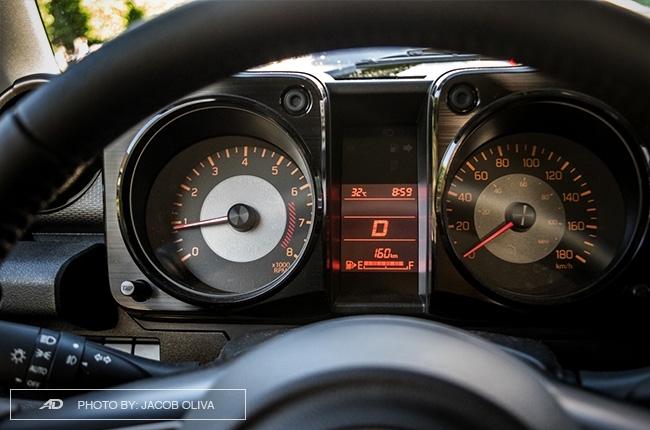 I didn’t exactly adore the orange-lit gauge clusters in the previous Jimny. I do now. 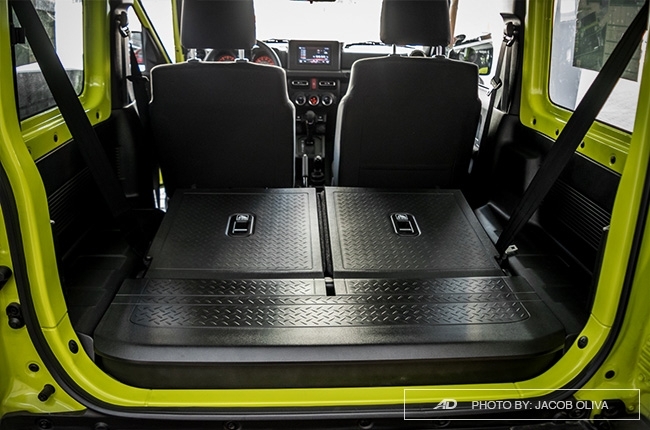 I wasn’t really expecting any improvement in the Jimny’s rear legroom, which I’m glad I did as it was just the same as before. It’s still for two people, with enough wiggle and elbow room for a cozy ride. And oh, speaking of cozy, the air-conditioning works quite well even with the sun directly shining on us that afternoon. 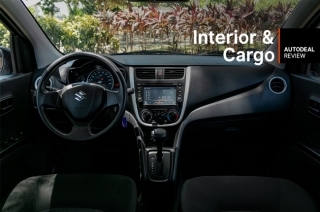 The rigid, patterned material at the cargo area was also an improvement. 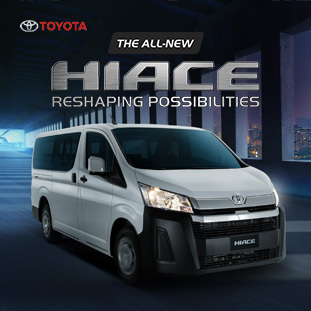 The rear seats also fold flat to the floor, and since the side cubby holders were lowered, the rear cargo space has become more spacious. 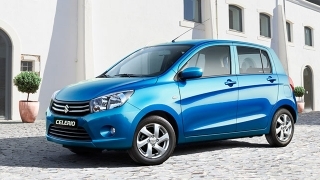 Kudos to Suzuki for employing this utilitarian design. 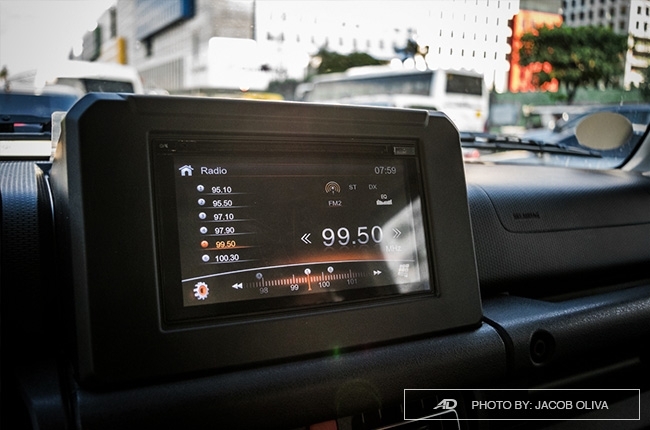 Hooray for the huge touchscreen head unit! 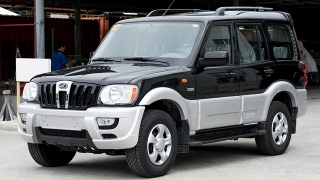 One of the biggest updates to the all-new Jimny is its bigger 1.5-liter K15B gasoline power plant. The added displacement also increased the power figures by a mile, dialing up the mini off-roader from 83 hp to the-now 102 hp, and from 110 Nm to the-now 130 Nm of torque. On the actual drive, I honestly felt the difference. However, since the quick drive was just within the limits of the city, I wasn’t able to test the Jimny up to the legal speed limits and its newly-added cruise control. What I did, though, was to step on the accelerator down to the floor at one point of the route. The Jimny reacted nicely to it, provided the needed pull, but I felt its torque limit at around 4,000 RPM, which continued to a plateau. 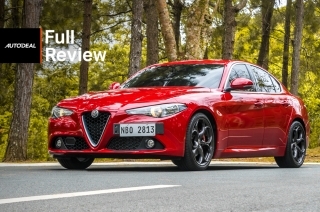 This could be because of the retained four-speed automatic transmission, but I’ll reserve my judgment when an opportunity for a longer and more rigorous testing comes. 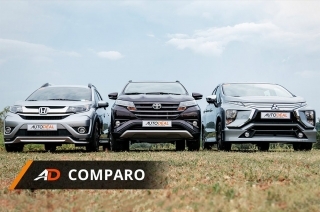 Nevertheless, the suspension has improved as it’s less jittery and although there’s noticeable body roll, it wasn’t as prominent as the outgoing Jimny. The steering was way better, too, having a great weight for a more stable driving. The brakes have been improved a lot as well, employing a nice bite to every step on the pedal. 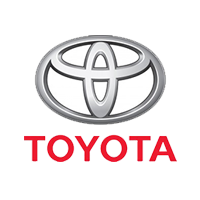 Hold your horses – this isn’t the final spec sheet yet. 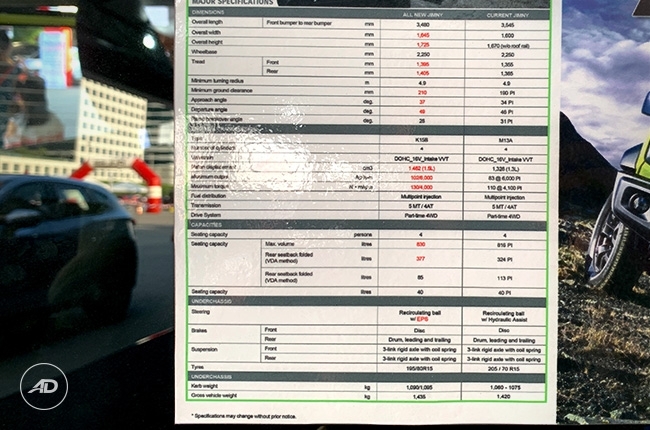 Here’s the catch: SPH disclosed that the Jimny that we tested last weekend wasn’t the Philippine-spec unit just yet, meaning it may or may not add features to the final unit that will come here by Q3 of 2019. 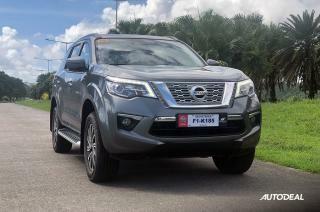 The final specs will depend on the feedback from the people who were able to do the quick test drive, to which I jokingly replied that they should add speed-sensing door locks, telescopic steering wheel adjustment, and LED headlights for the range-topper. But then again, that’s just me. Now, going back to the burning question: Is the 2019 Suzuki Jimny worth waiting for? 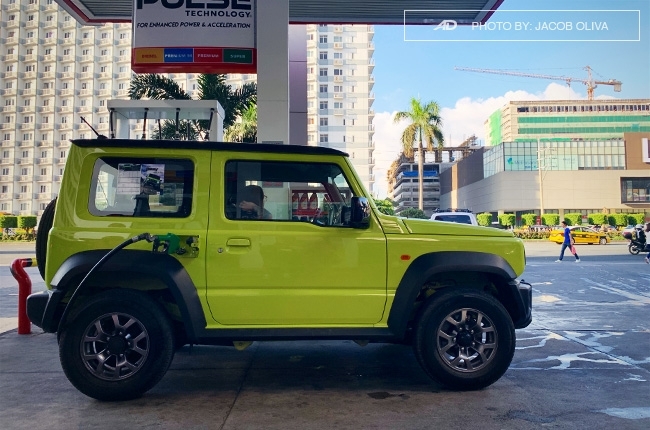 With an estimated retail price of P1.1-million and with the Vitara lurking within the same price range, I say that the Jimny remains to be a niche marketing offering, reserved for people who don’t really care about space nor overflowing power. If you’re included in this niche market, (yes) just like me, it’s definitely worth the wait. 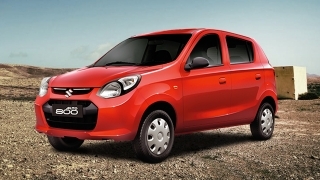 The price is something that isn’t hard to turn a blind eye on if you’re really a fan of the cute boxy off-roader. 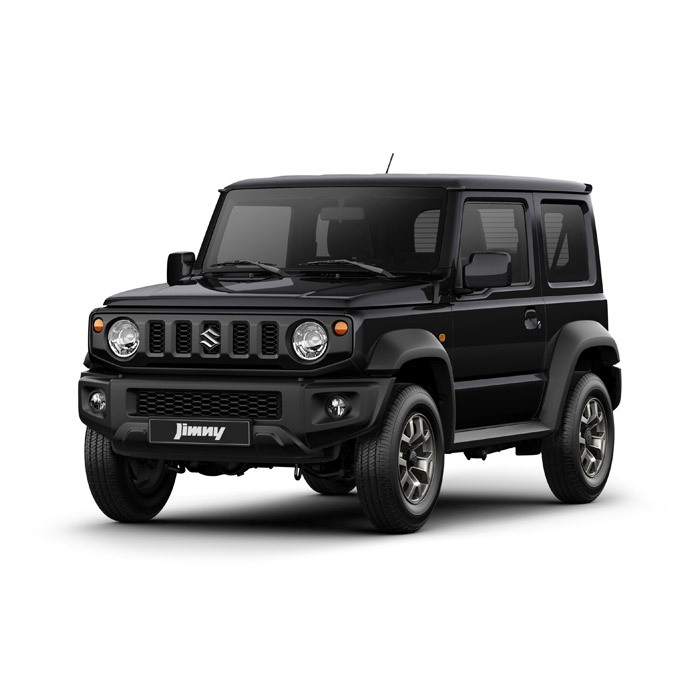 Simply put – you won’t buy a Jimny because it’s practical; you’ll get one because you want one in your garage. 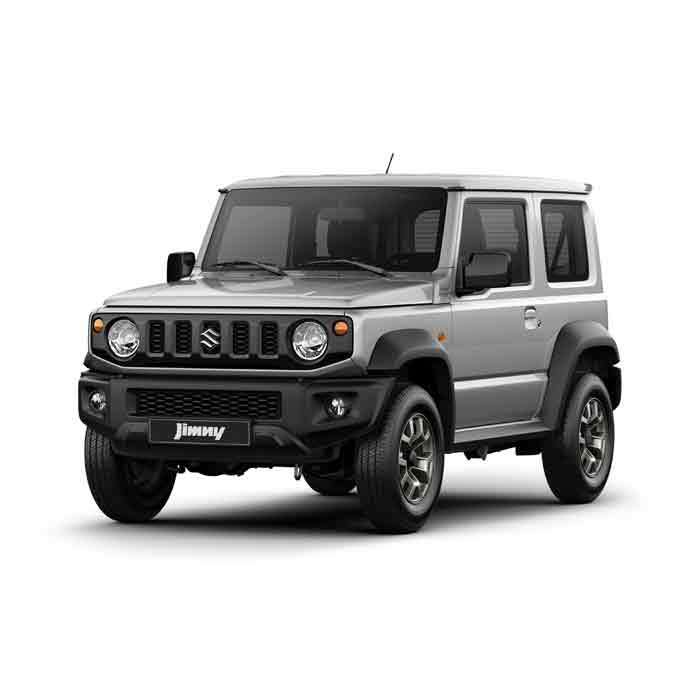 Hi, I would like to receive a financing quote for the Suzuki Jimny GLX AT (Two-Tone), thank you.